Search is often considered to be a magical “black box”. It’s like air or water: we don’t recognize it as long as it works fine. But as soon as we don’t get the results we expect we start complaining. Search is often considered to be a magical “black box”. 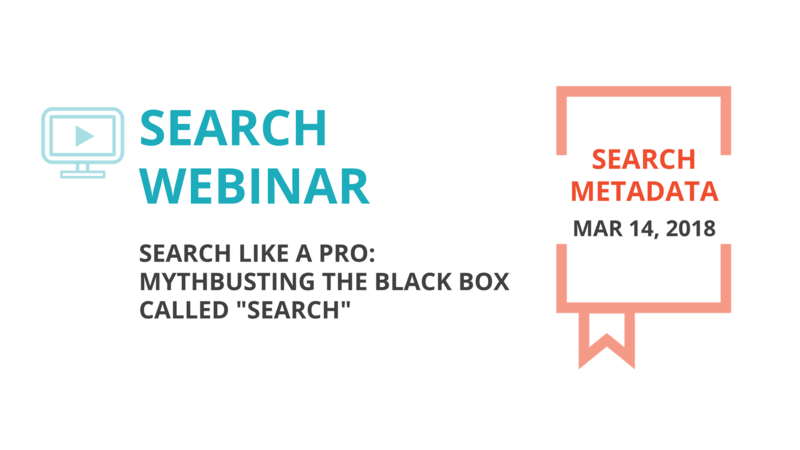 Register below for free, invite your colleagues, decision makers as well as end users, to help the understanding all the magic behind classic and personalized search (a.k.a. modern search). PreviousTopic of March: Search Metadata – What? Why? How? Social, Big Data, Analytics and Enterprise Search – At the Keynote of Enterprise Search Europe 2014!